An Ontario judge has admonished RCMP Commissioner Bob Paulson for the way he has dealt with dissent within the force, just days after a similar rebuke from a veteran B.C. Mountie. An Ontario judge has admonished RCMP Commissioner Bob Paulson for the way he has dealt with dissent within the force. Ontario Superior Court Justice Brian Abrams wrote Paulson a letter, taking him to task for his tone and choice of words in responding to internal criticism during an email exchange between Paulson and B.C. Staff Sgt. Tim Chad. "After some deliberation I felt compelled to write a note," Abrams says in correspondence obtained by CBC News. In the email exchange — which was leaked to the public — Chad complained that Paulson was portraying rank and file members as "a bunch of screw-ups". Paulson replied, reprimanding his subordinate. While Abrams wrote the comments were unbecoming of both officers, the judge — a retired Mountie himself — levelled his criticism at Paulson. "While I take no position with respect to the substantive matters discussed in the correspondence, I was surprised by the tone," Abrams writes, after noting his regimental number when he was a member of the force. "To tell a subordinate they are 'living under a rock', that they are 'unsophisticated' and that to 'inform yourself ... it will take an effort', are not words I would have expected to read in correspondence coming from the Office of the Commissioner," he added. Abrams's letter was leaked on the heels of one from North Vancouver Const. Peter Kennedy, who likened the commissioner to an "angry teenager" who is "aggressive, insulting, arrogant condescending and immature." In a statement to CBC News, Paulson dismissed Kennedy's complaints, writing: "For every email from the likes of Const. Kennedy, I get a pile of supportive — it’s about time — messages." But the letter from Abrams may not be as easy to dismiss. In it, Abrams offers Paulson two admonitions. One is from his grandmother, who told him: "Just because you may be right doesn't always give you the right to say so." The other, Abrams says, he learned from the lawyer who was his articling principal, who cautioned him never to write a letter he wouldn't want to see on the front page of the Globe and Mail, introduced in court, or that your mother would be embarrassed to read. "All good advice, I think", Abrams concludes. Lawyer Walter Kosteckyj, a former Mountie, says the letter from a sitting judge is a remarkable indication that Paulson may be losing the moral authority to restore the RCMP's reputation. "I don't think the RCMP can fix this problem on their own anymore," Kosteckyj said. 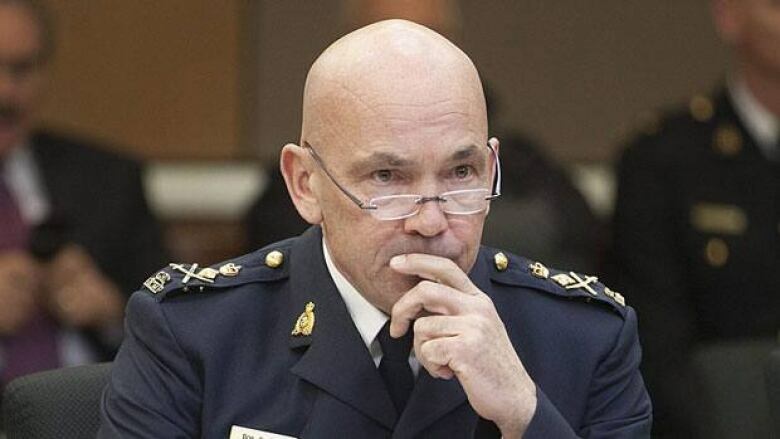 NDP public safety critic Randall Garrison says while the spate of leaked internal correspondence indicates deep structural problems within the RCMP, he doesn't think too much should be read into Abrams' letter. "And I don't think this public debate of what is essentially private correspondence is helpful in solving the larger problems", he says. Julie Carmichael, a spokesperson for Public Safety Minister Vic Toews, wouldn't comment on the correspondence. "What I can say is that our Conservative government is committed to ensuring Commissioner Paulson has the tools he needs to restore pride in Canada's national police force. Minister Toews recently tabled the Enhancing RCMP Accountability Act to do just that," Carmichael said. The RCMP also refused to comment on the letter. "It is unlikely that we would respond to what is likely a private communication between two parties", Sgt. Greg Cox told CBC News, noting that Paulson is on vacation. Mohan Sharma, the acting executive legal officer for Ontario's chief justice confirmed Abrams wrote the email. "It was the expression of a purely personal view," Sharma told CBC News in an email. "Justice Abrams has no further comment."